There was a problem looking up that policy. Enter your policy number as it appears on your bill, then click the Look Up Policy button. Email address will be used to send a receipt. 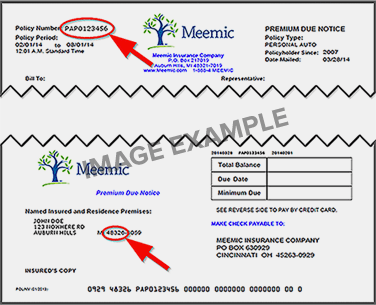 The image below shows where you may review a copy of your bill to determine your policy number and policyholder ZIP code.